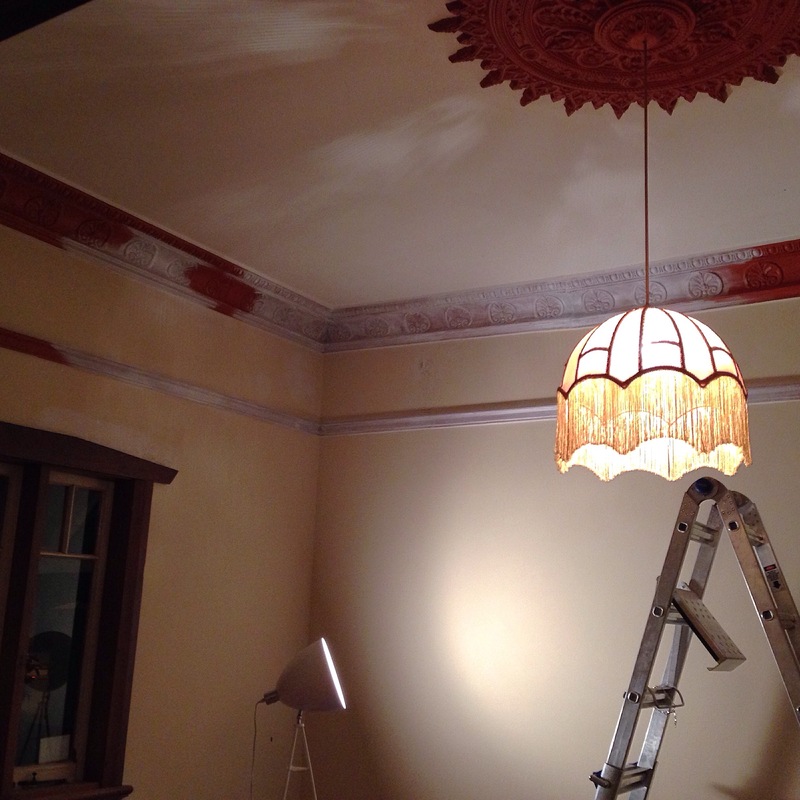 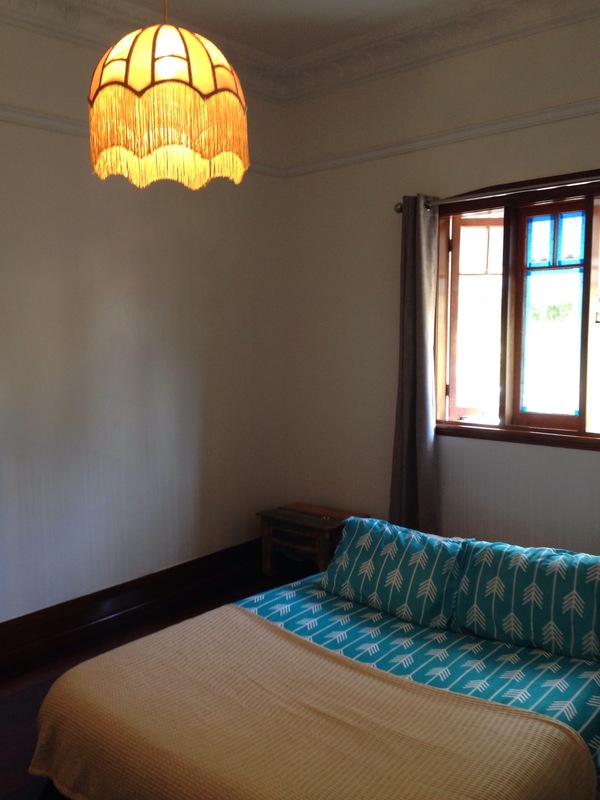 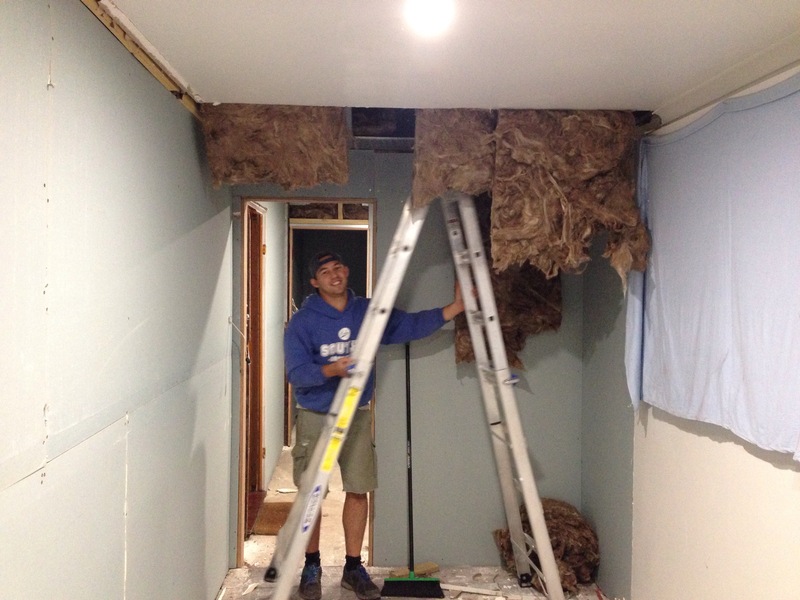 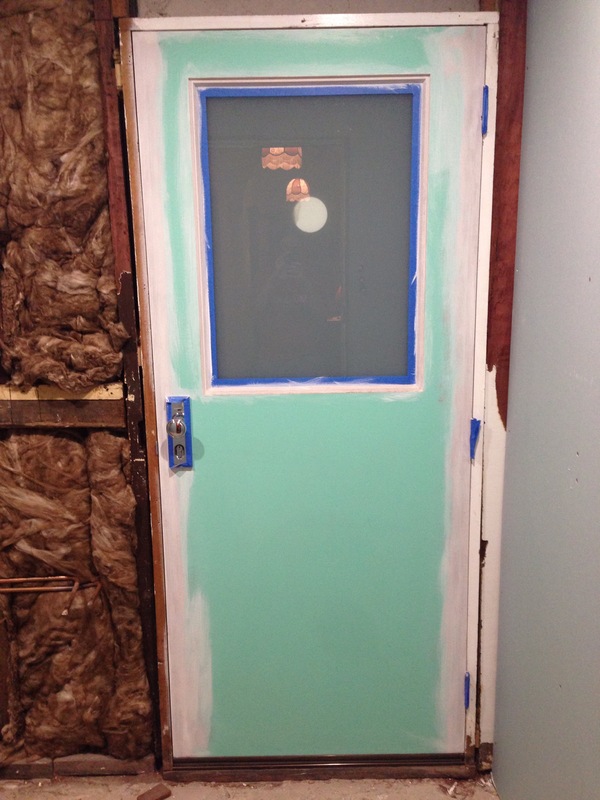 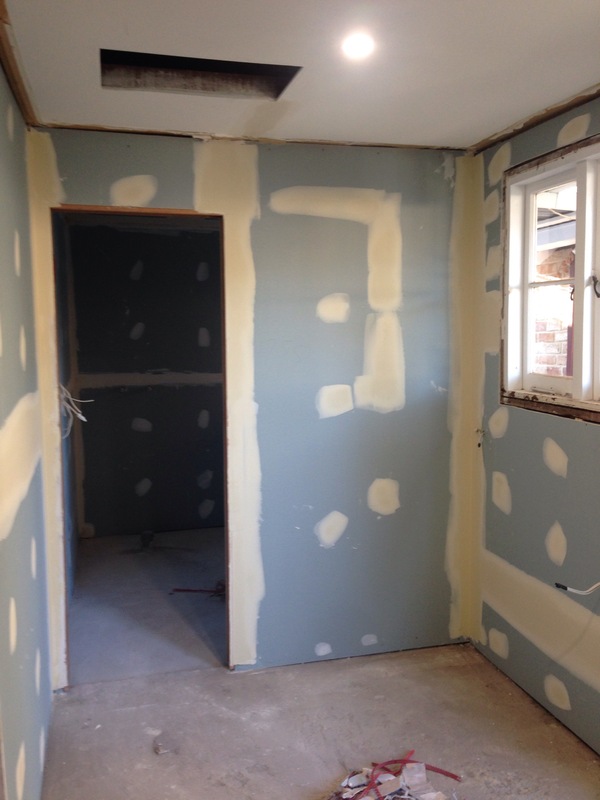 Week Six – Wall sheets go up and the bedroom is finally painted! 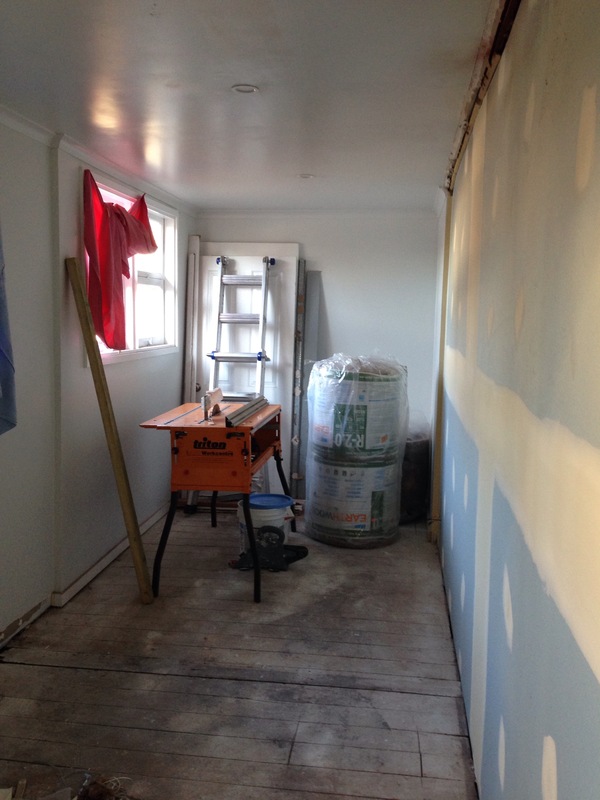 Week Seven – Skirting, architraves and window frames are sanded and varnished. 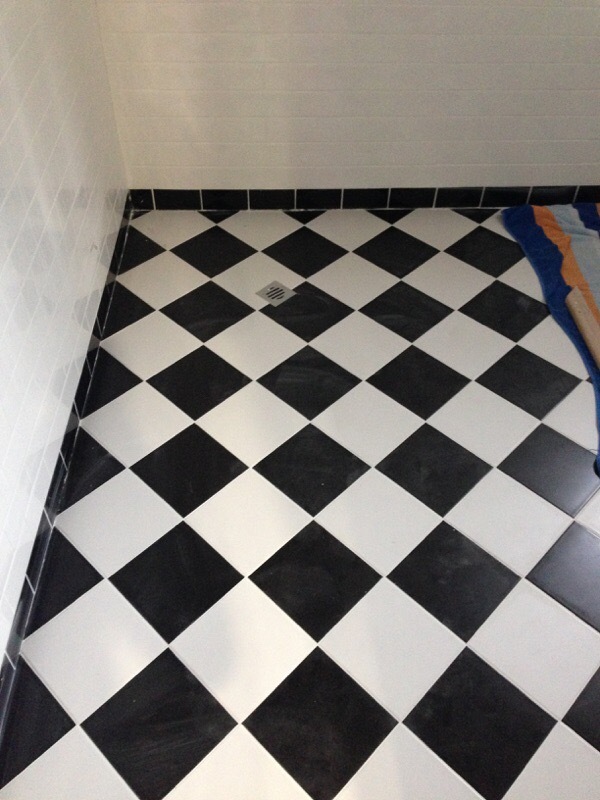 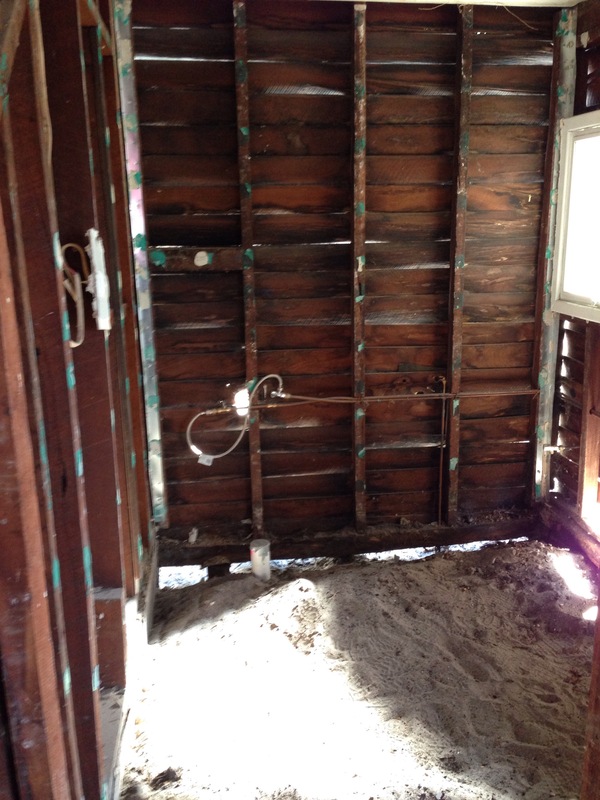 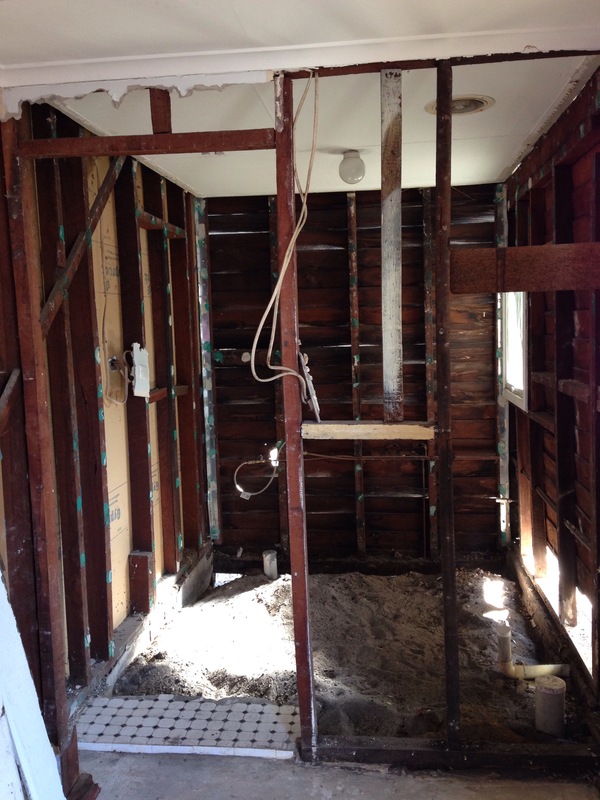 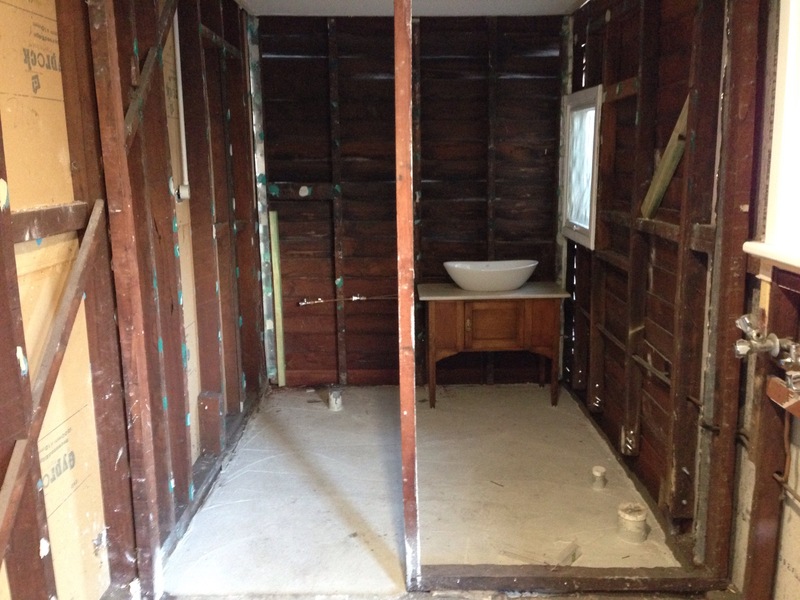 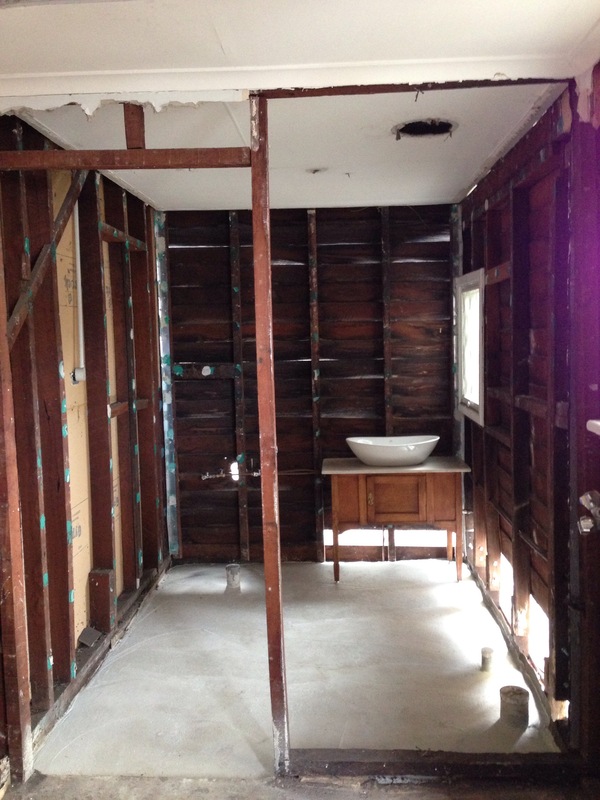 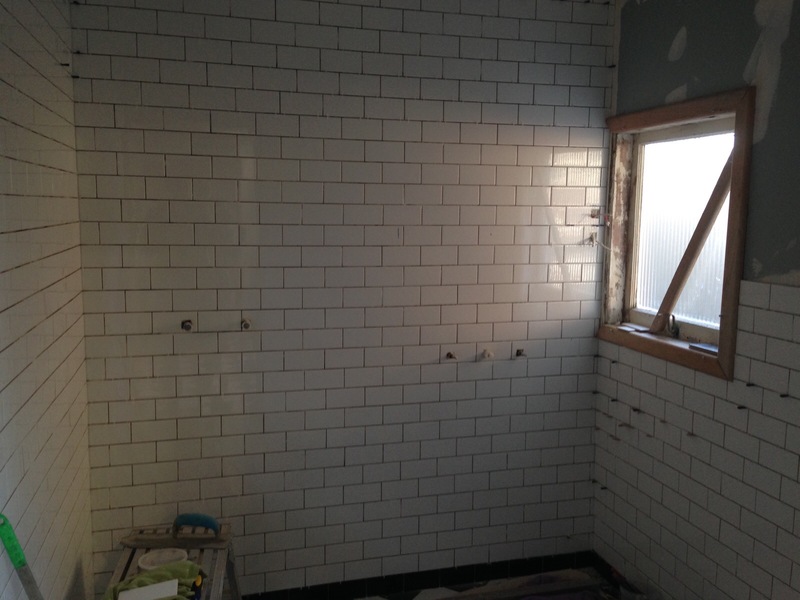 Tiles in the bathroom begin! 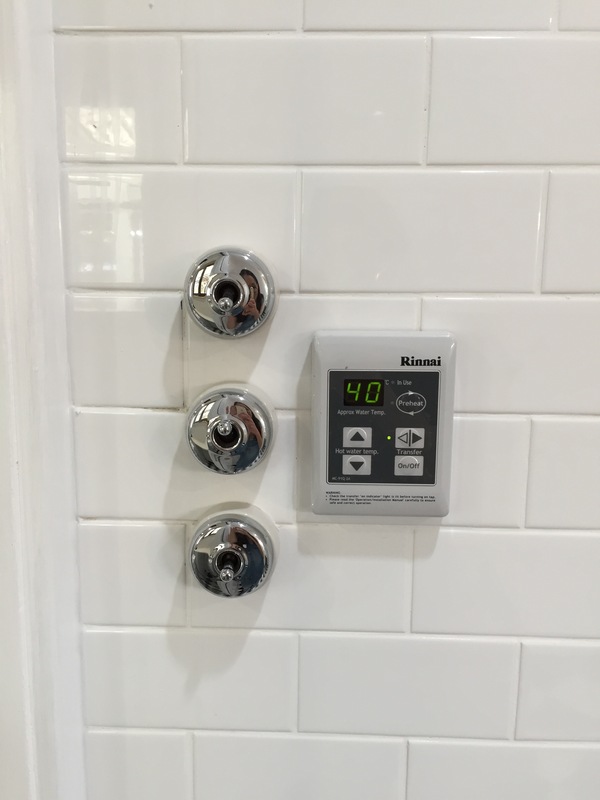 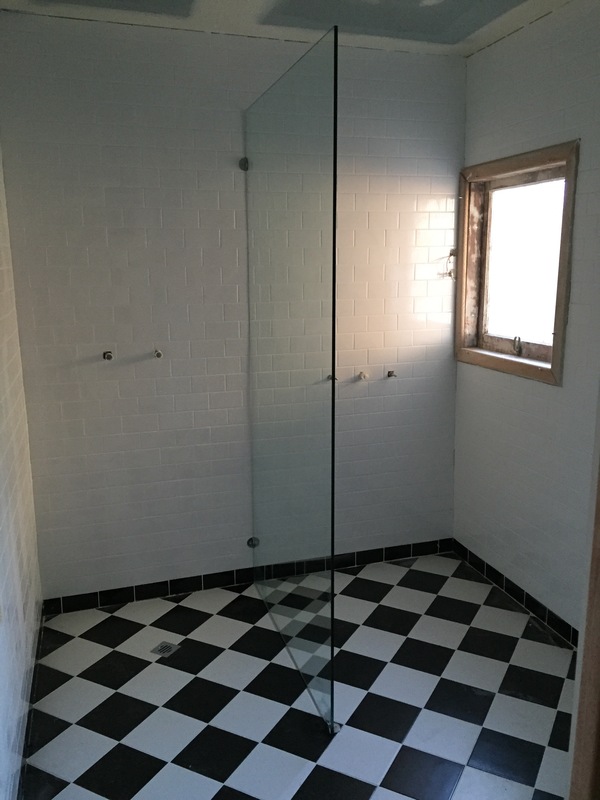 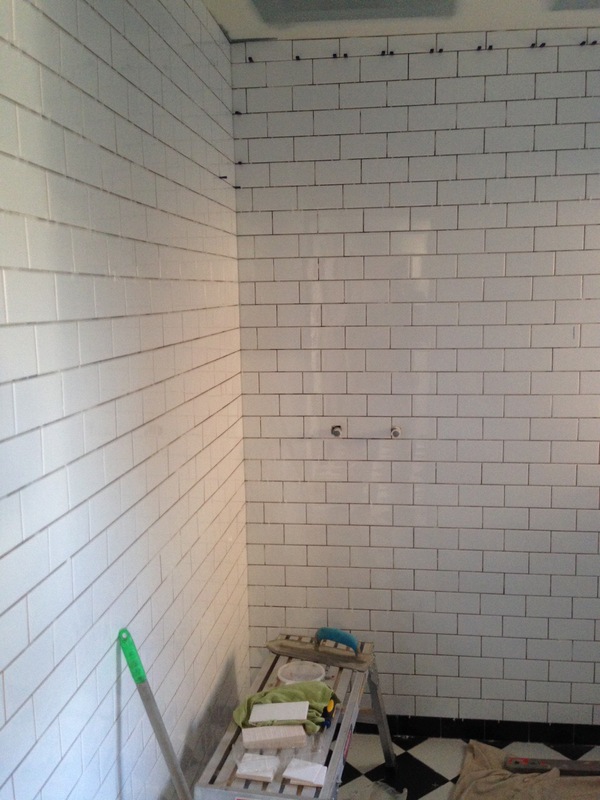 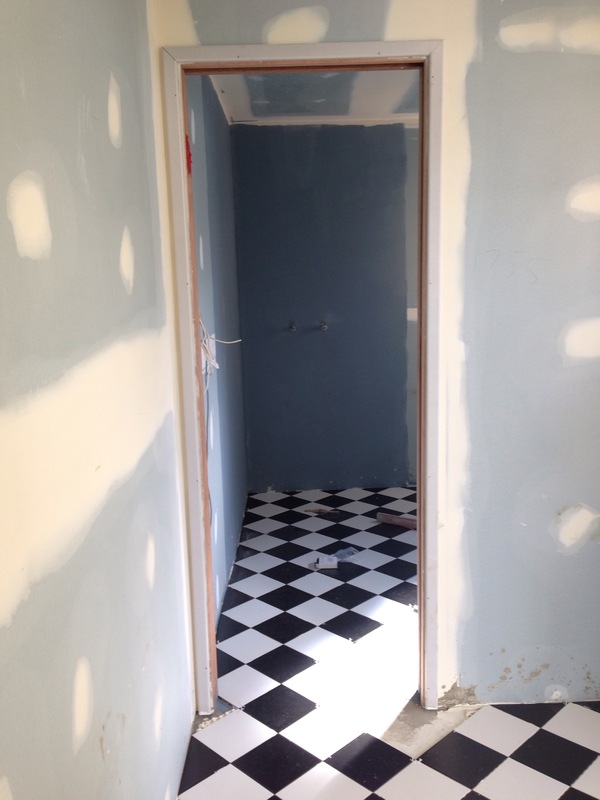 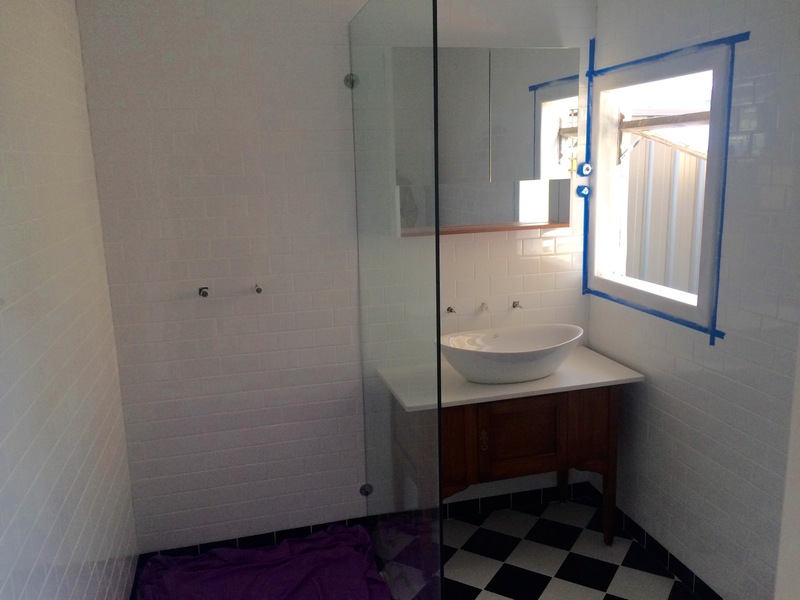 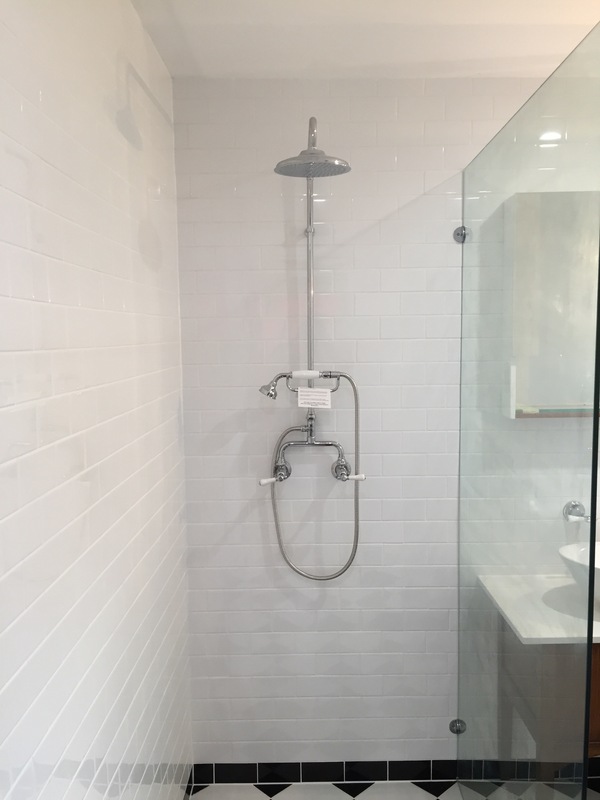 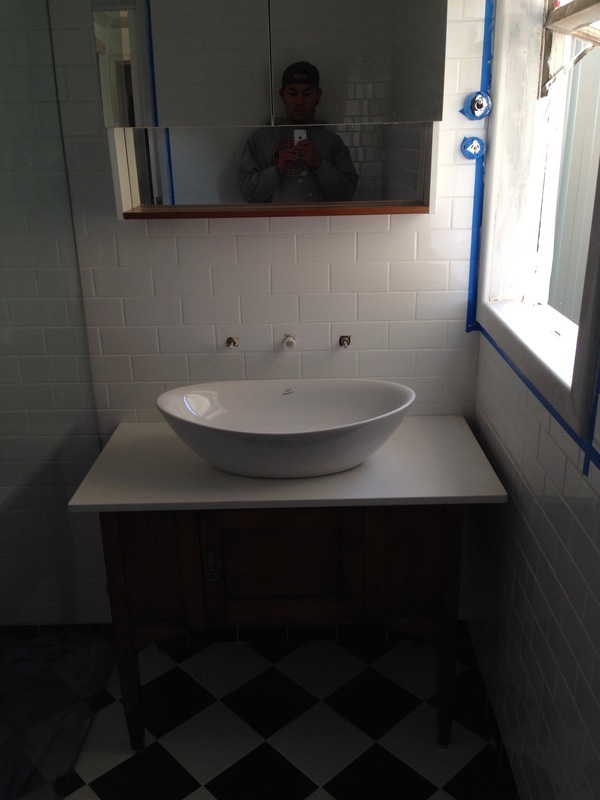 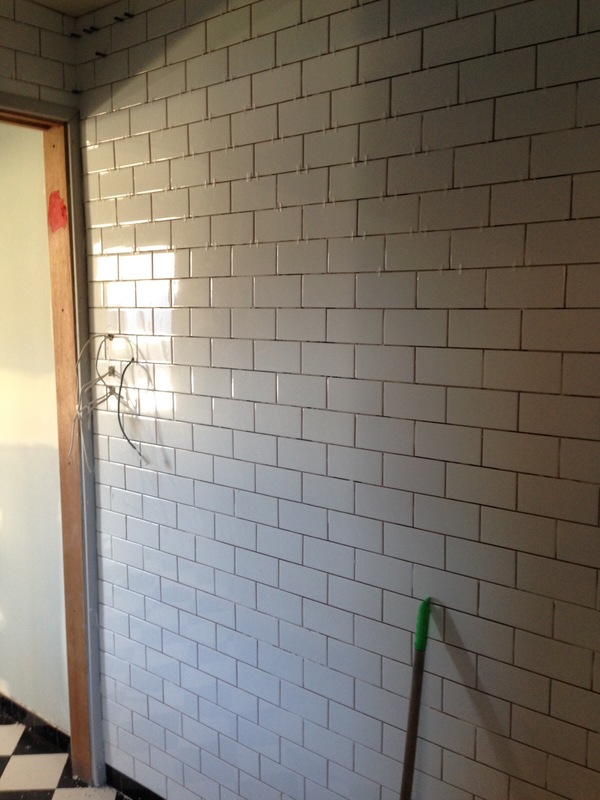 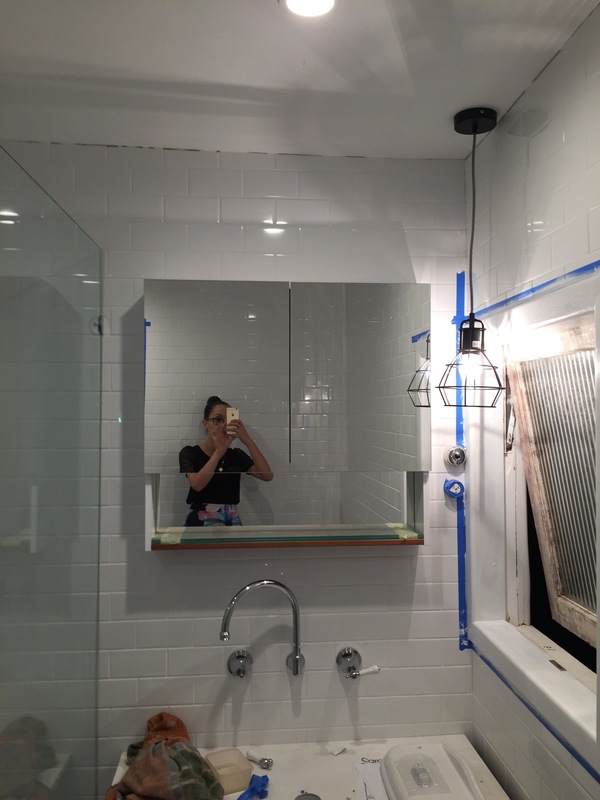 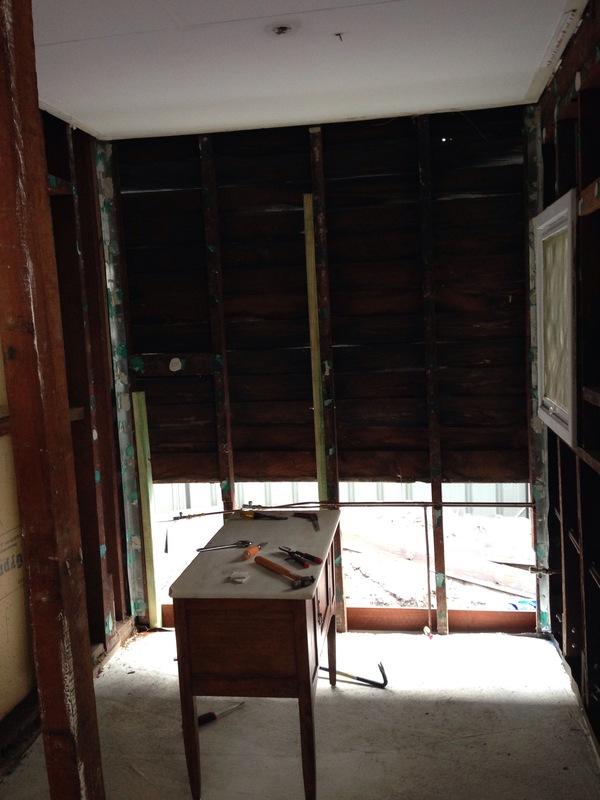 Week Eight – Wall tiles continue to go up and tiles are grouted and finished. 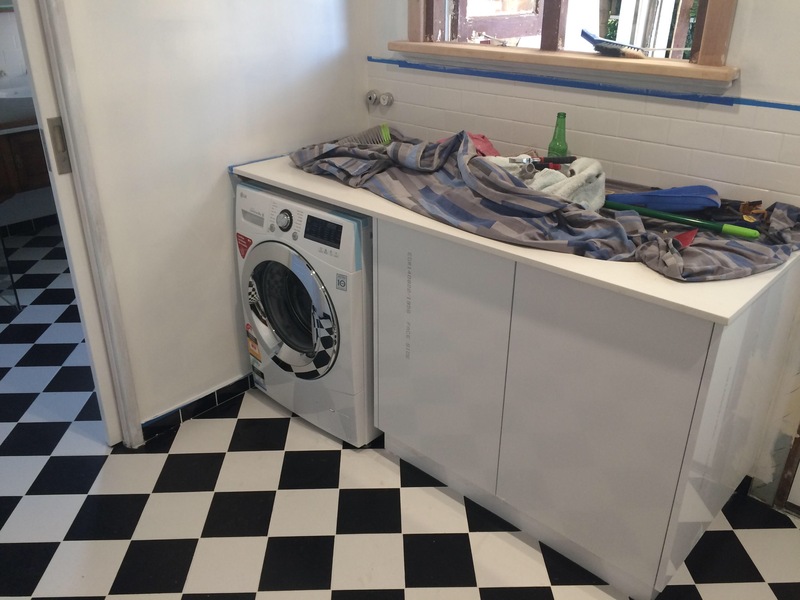 Laundry cabinets get installed. 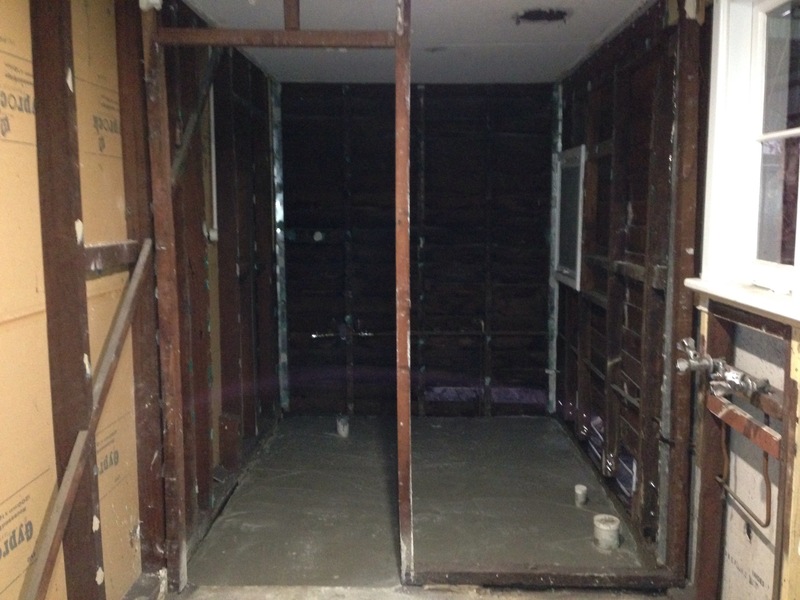 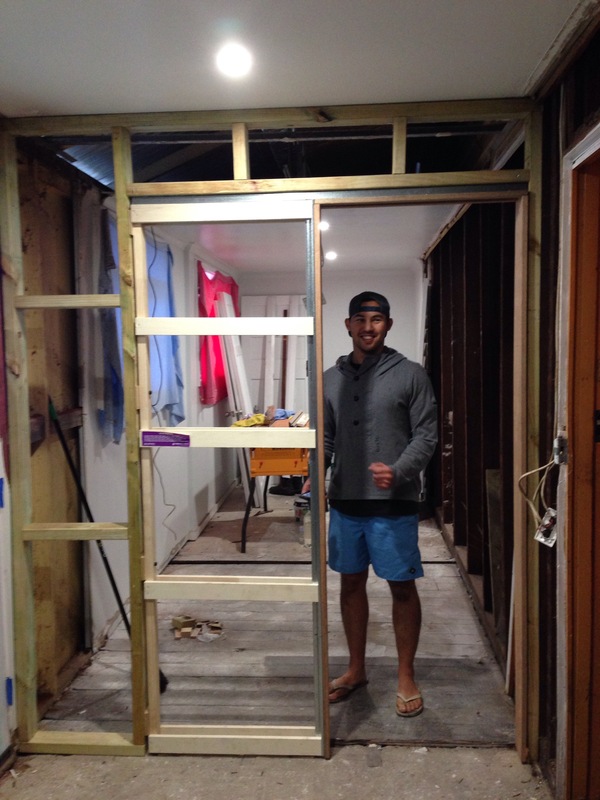 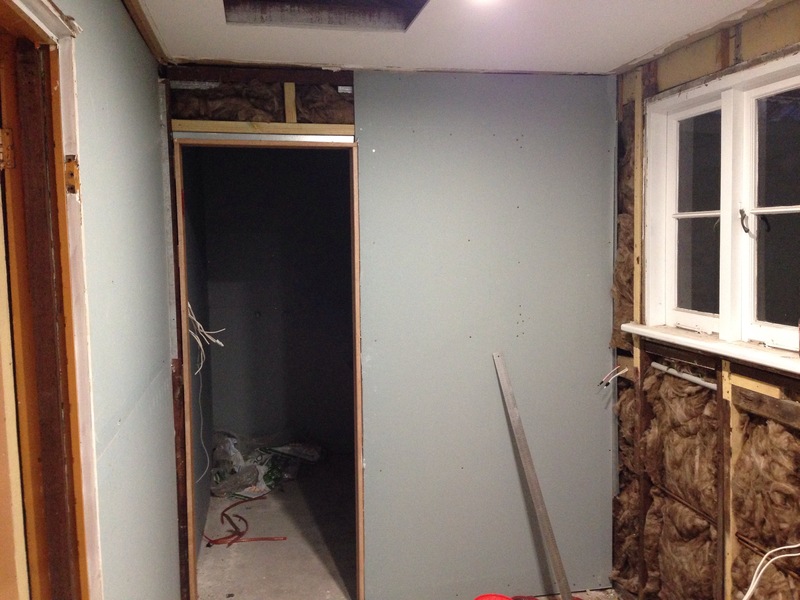 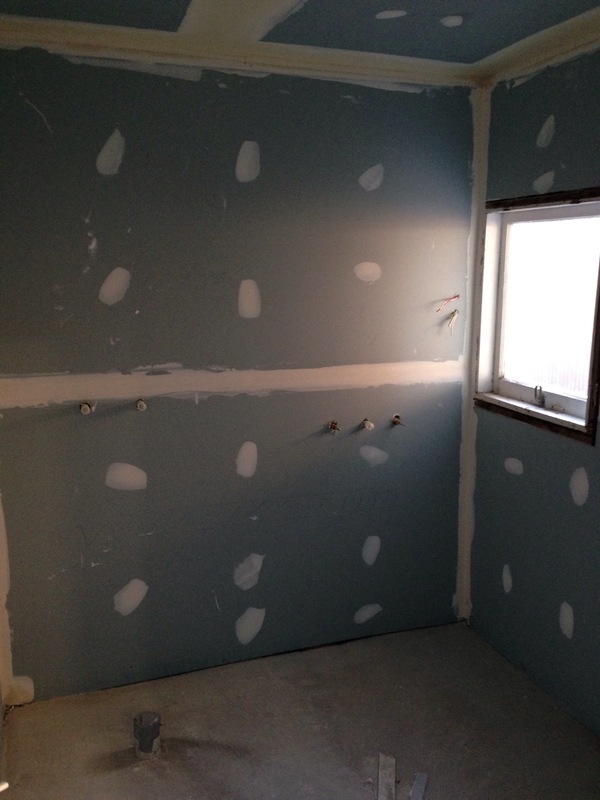 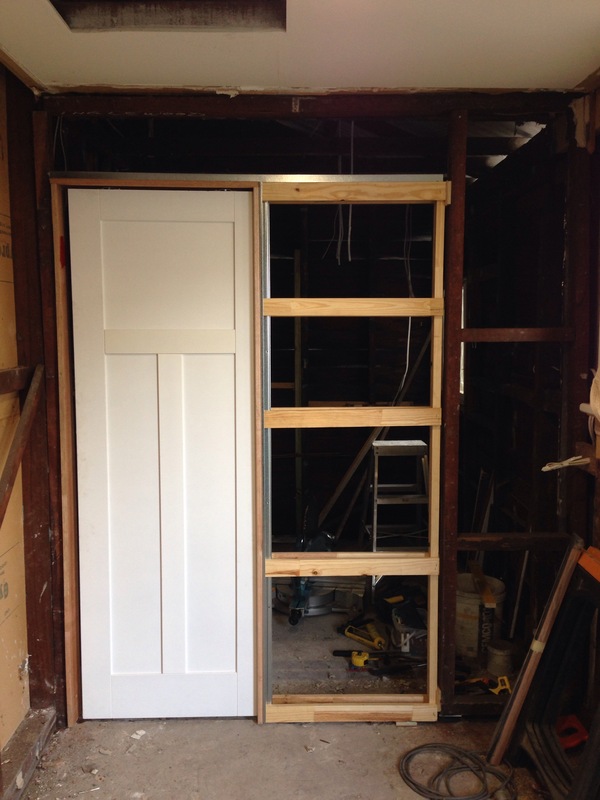 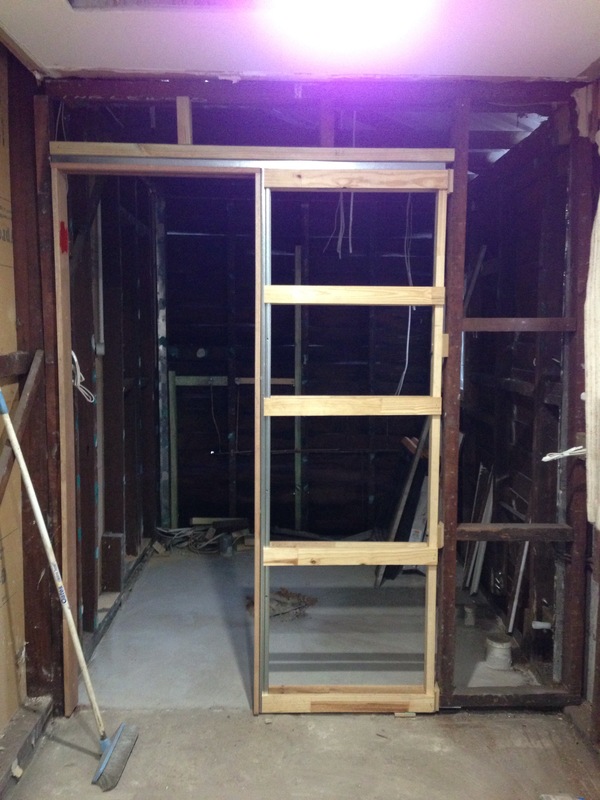 Week Nine – Shaving cabinet goes up, windows are painted and cavity sliding doors are installed. 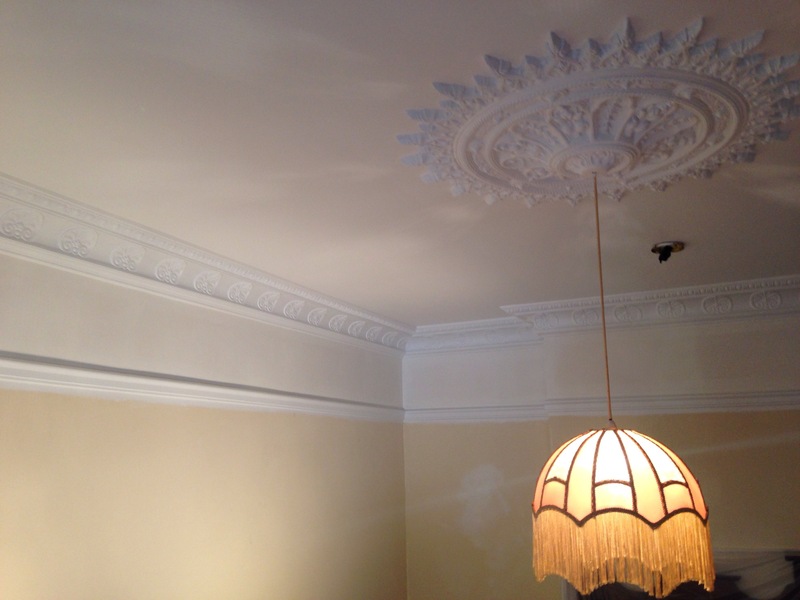 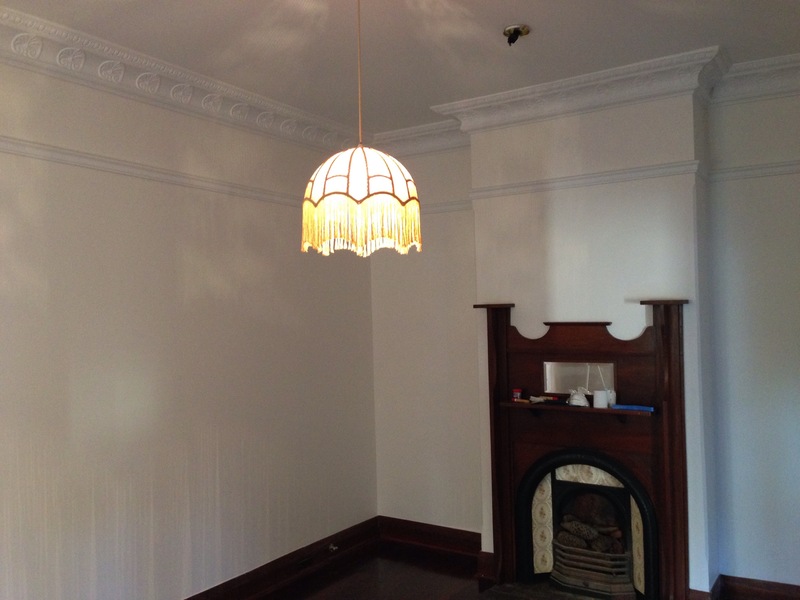 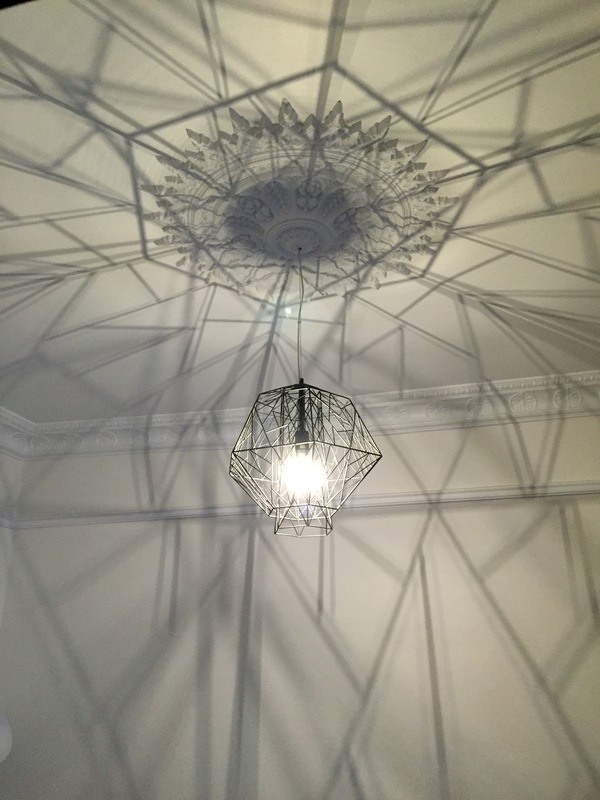 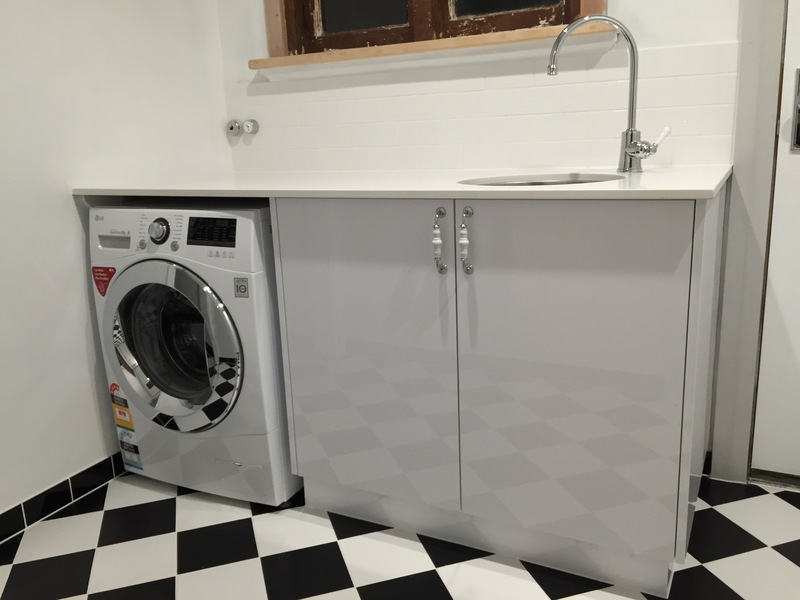 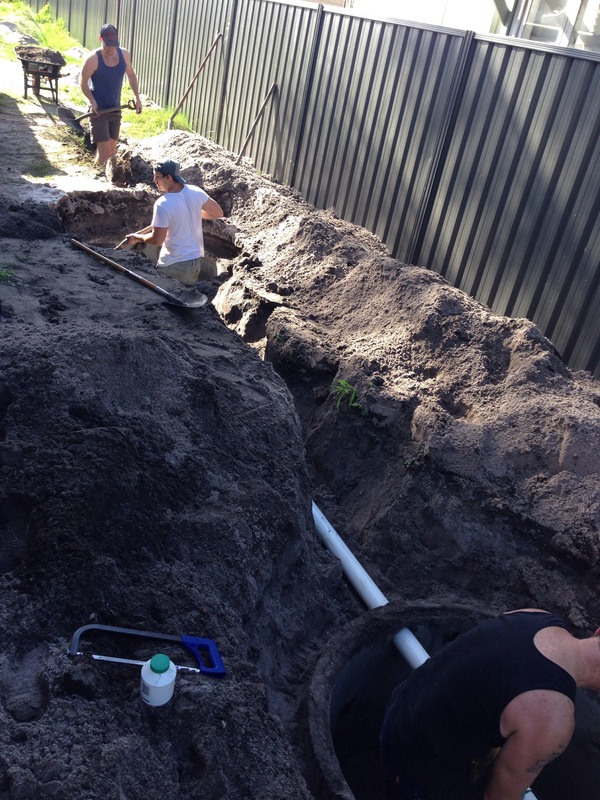 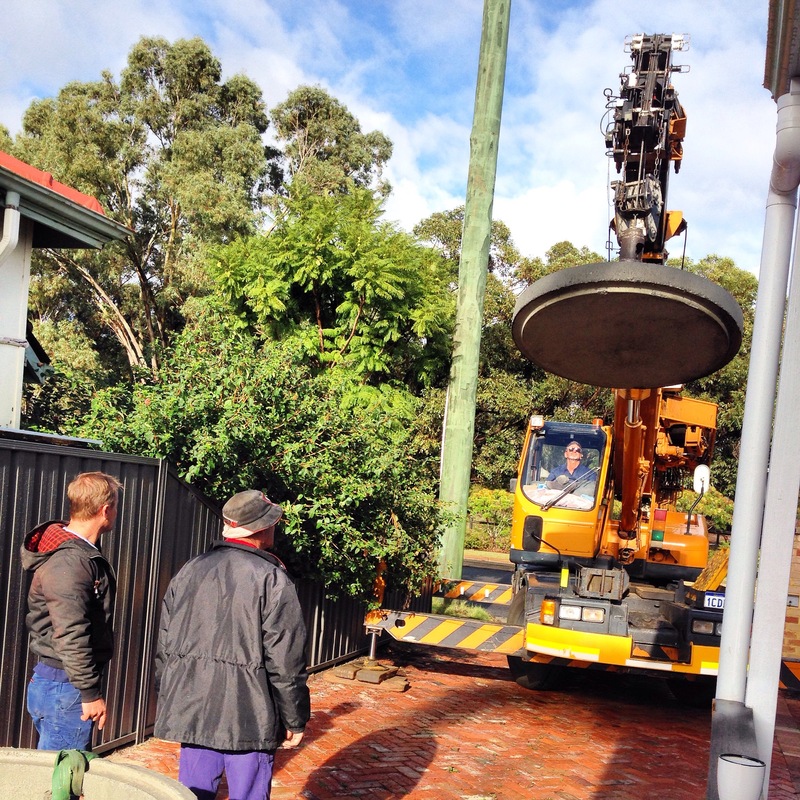 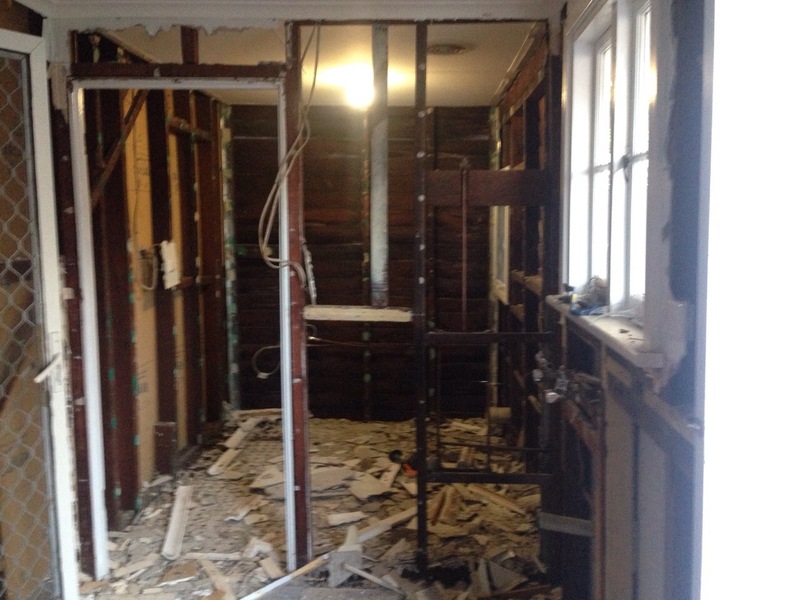 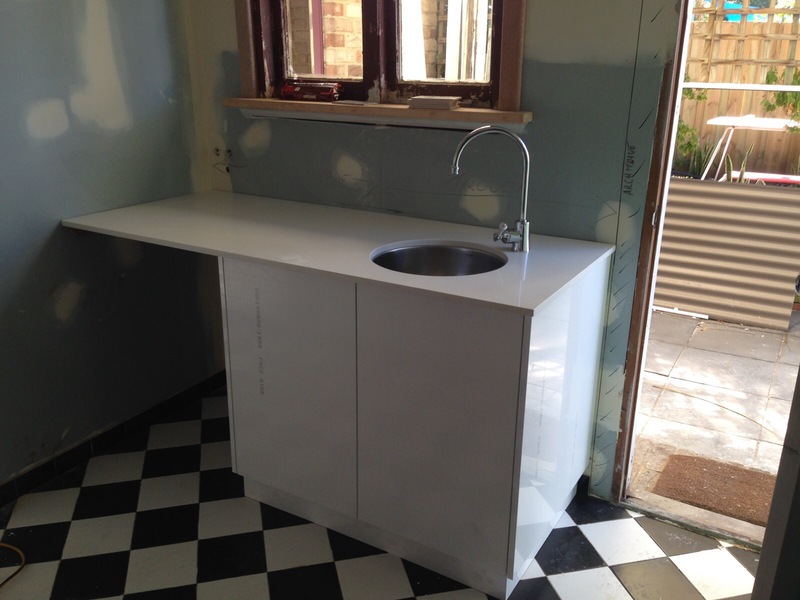 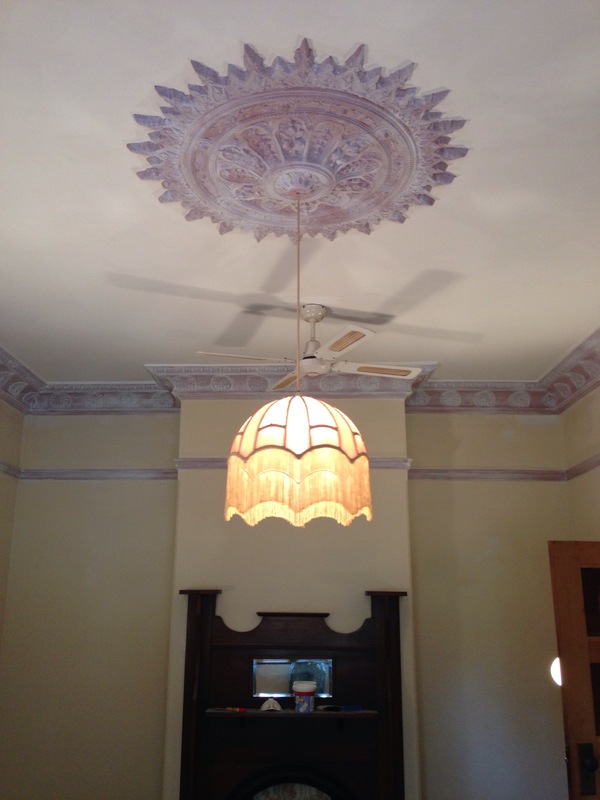 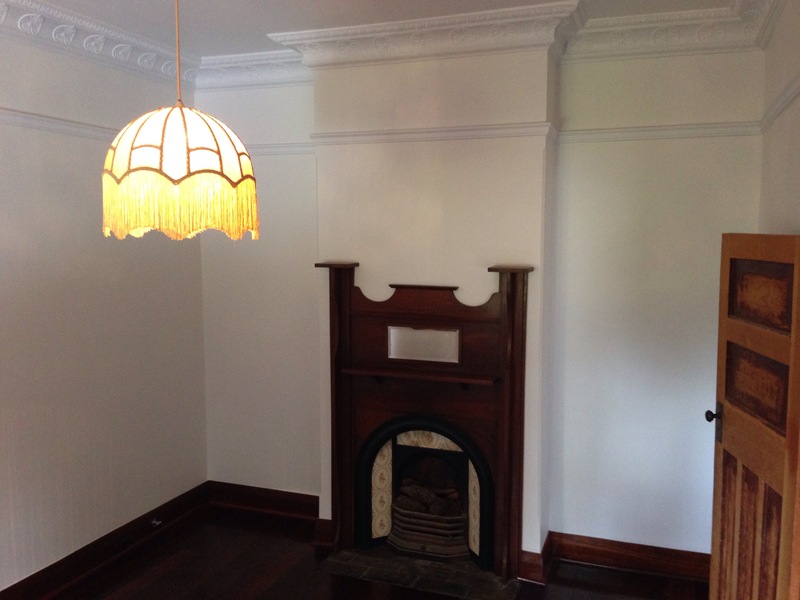 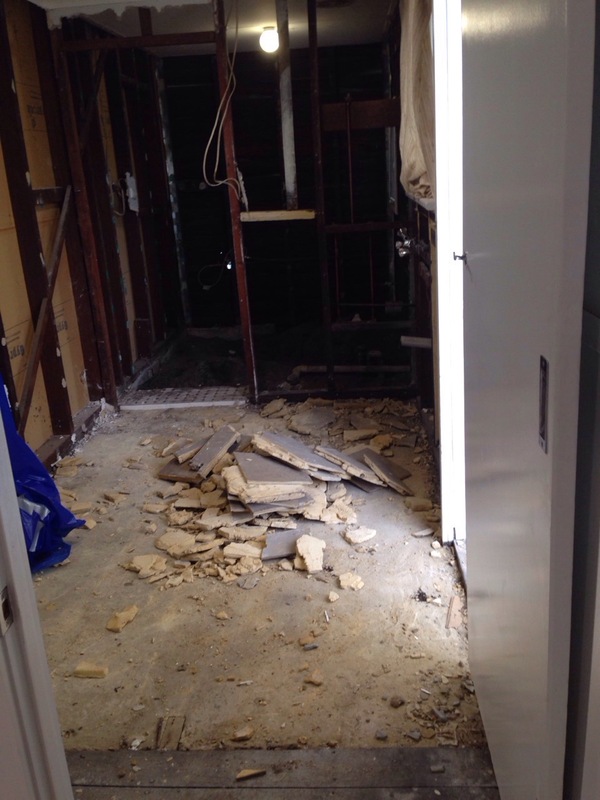 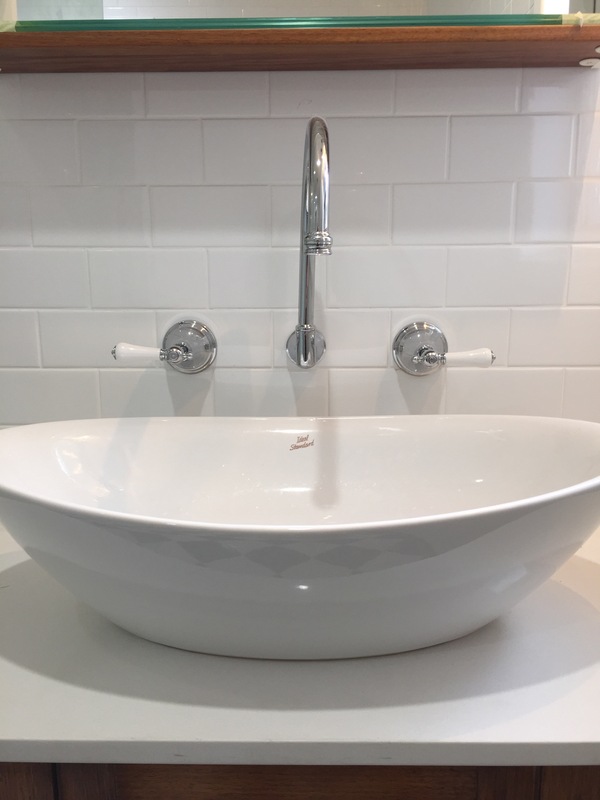 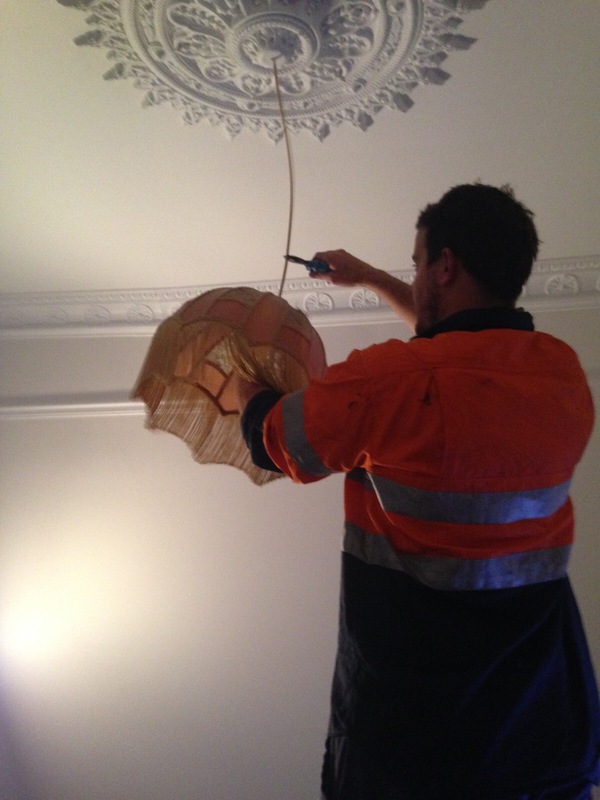 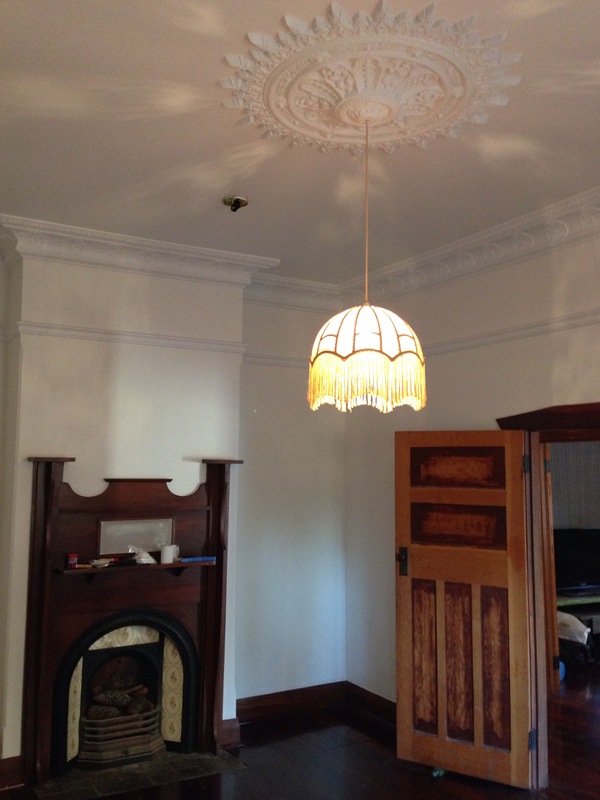 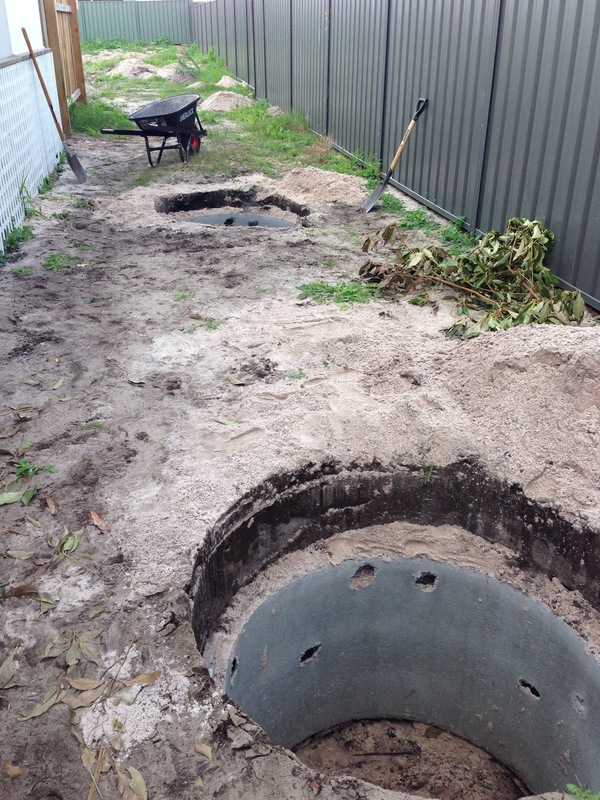 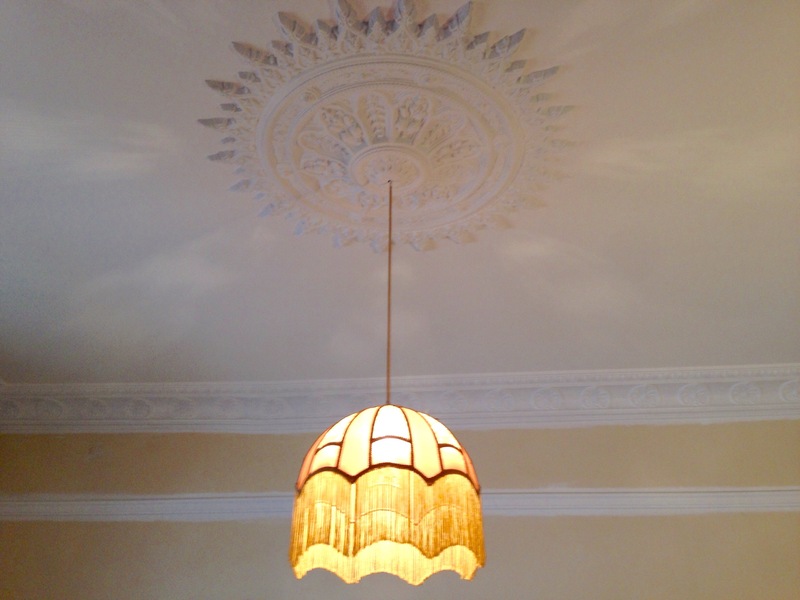 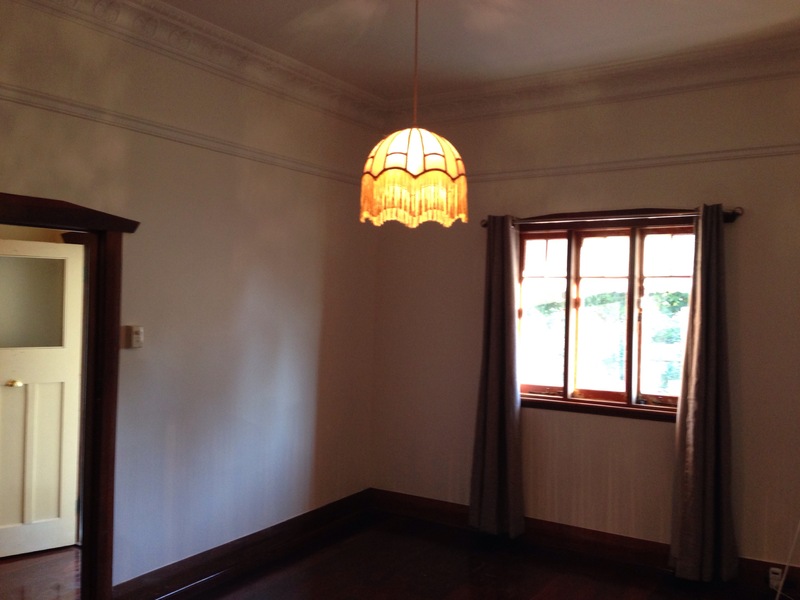 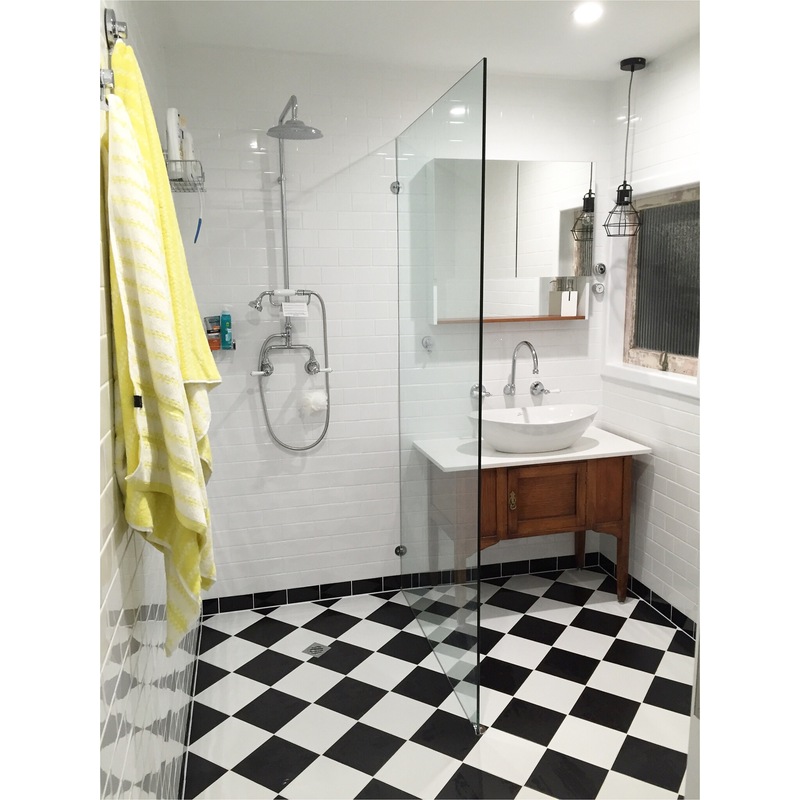 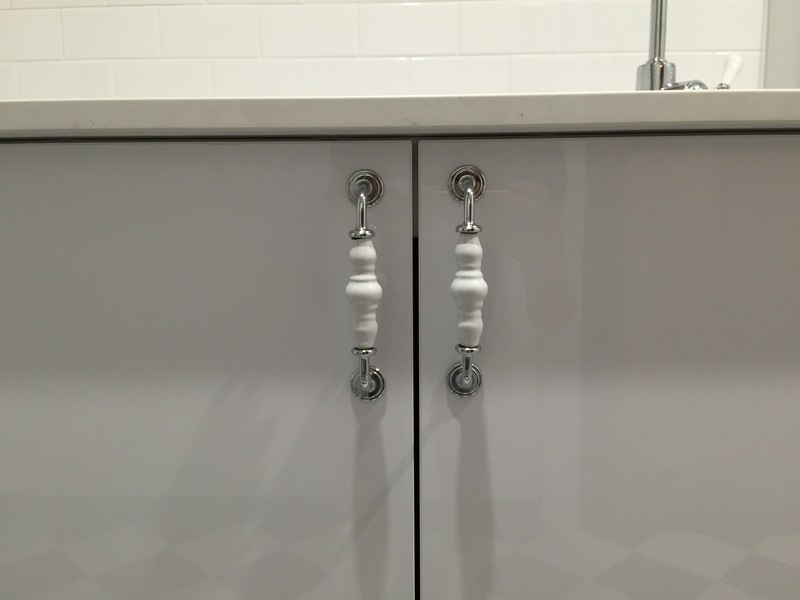 Week Ten – Electrician and plumber come and fit off our wonderful fixtures and fittings. 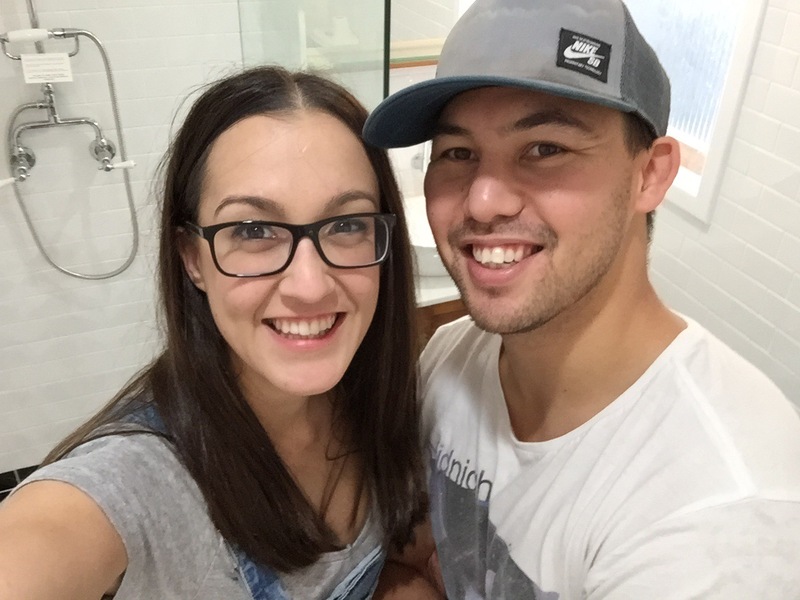 The face of two happy chappys now that the bathroom is just about done!